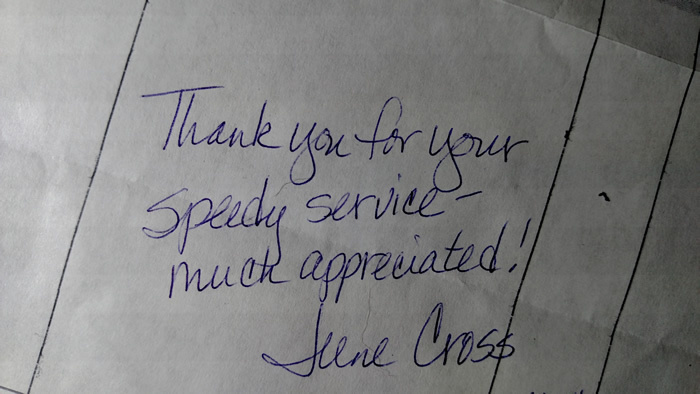 Thank you for your speedy service – much appreciated! 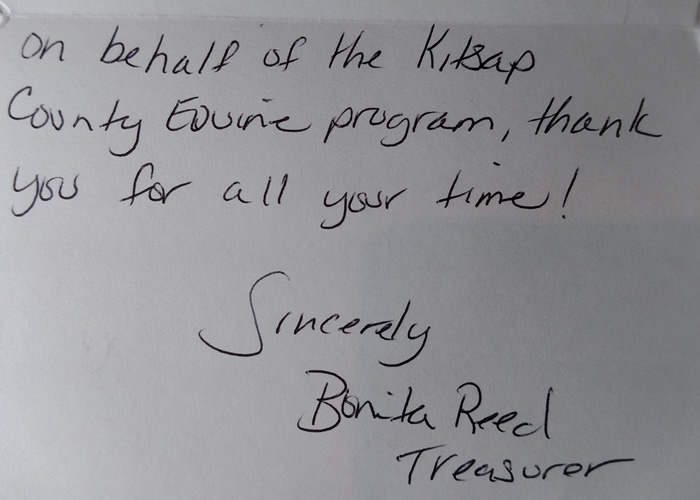 On behalf of the Kitsap County Equine program, thank you for all your time! 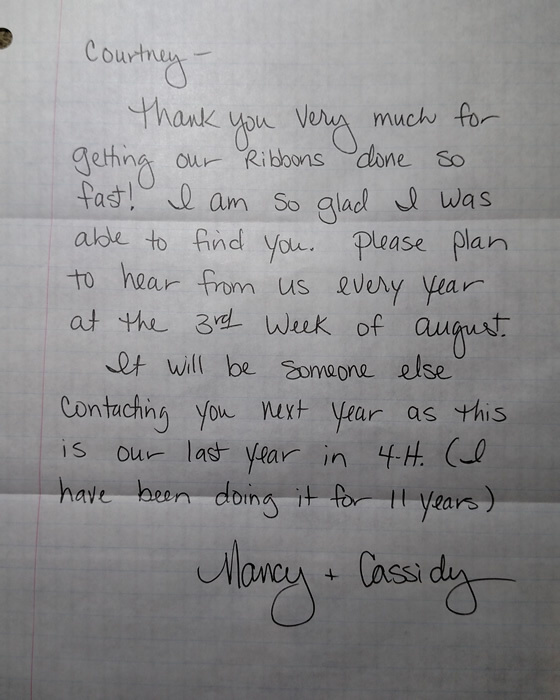 Courtney, – Thank you very much for getting our ribbons done so fast! I am so glad I was able to find you. 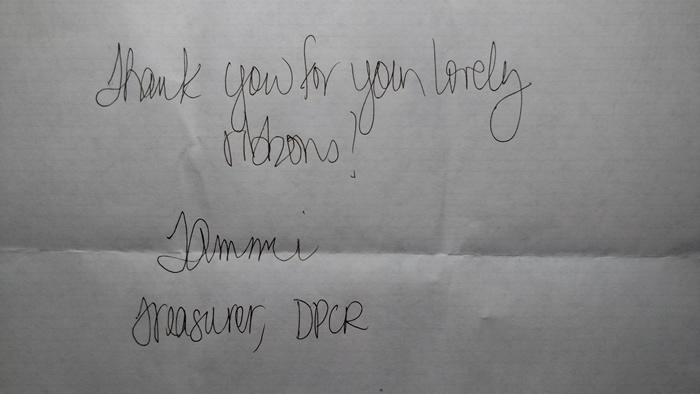 Please plan to hear from us every year at the 3rd week of August…. 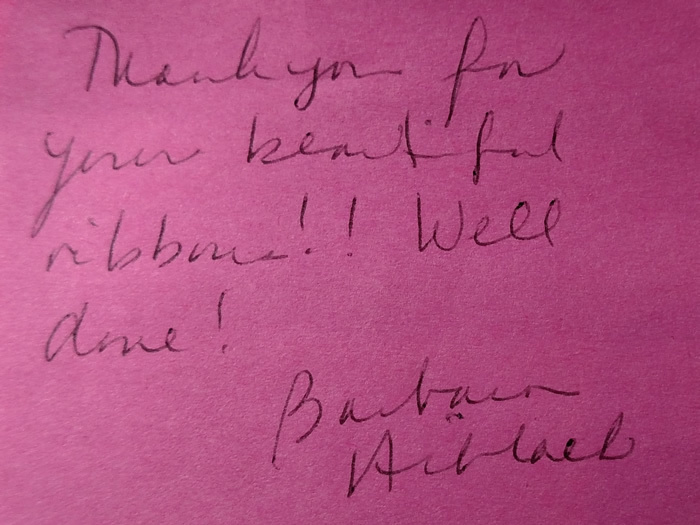 Thank you for your beautiful ribbons!! Well done!! 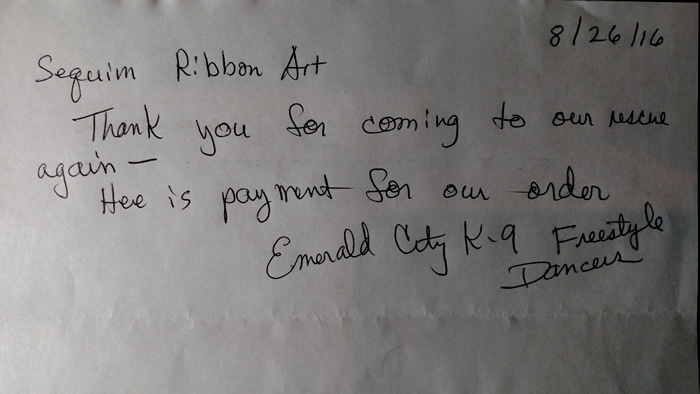 Thank you for your lovely ribbons! Would you like to submit a comment?